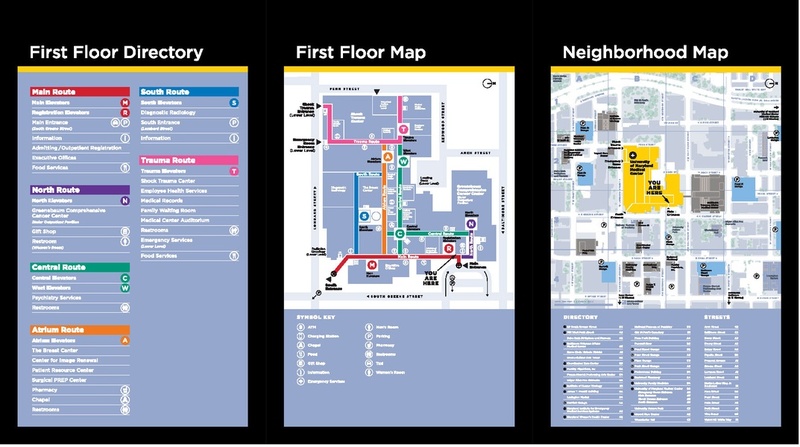 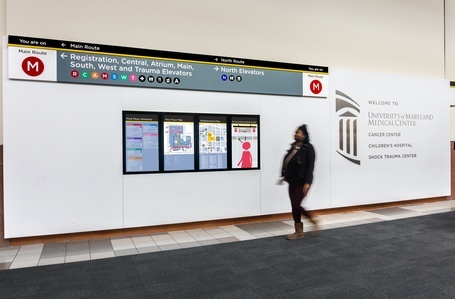 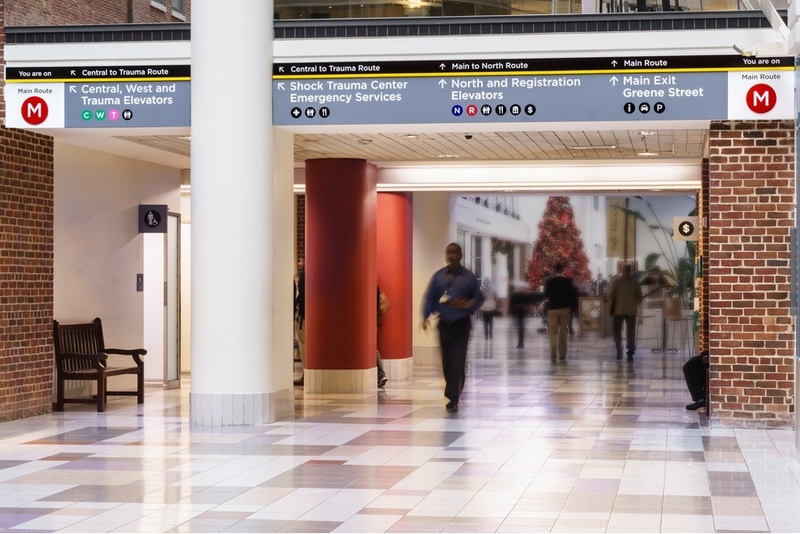 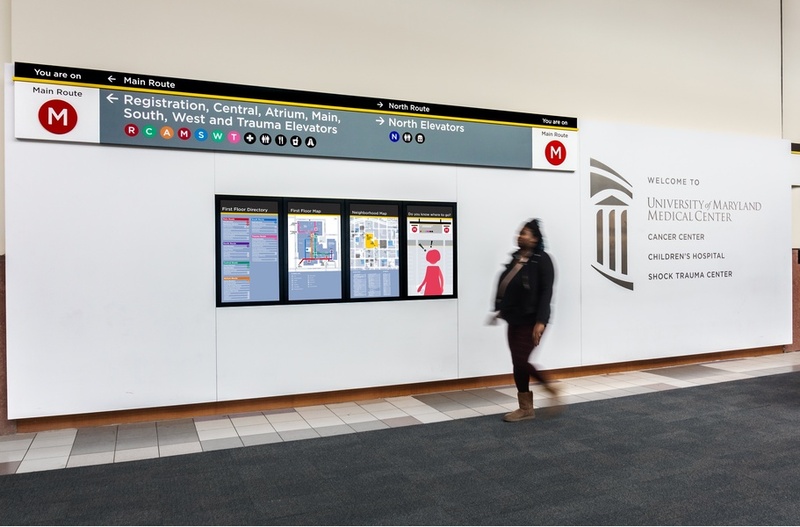 The University of Maryland commissioned the firm to establish a comprehensive new wayfinding system for its Medical Center campus in Downtown Baltimore. Keying off the firm’s earlier wayfinding masterplan for the University, the sign program for the Medical Center began with a masterplan that included wayfinding strategy and consensus building sessions. 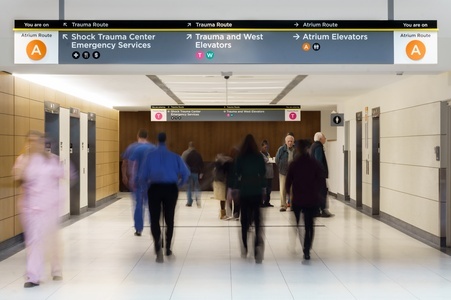 Keying on the university’s overall graphics system with an expanded color palette, the new wayfinding program introduces a new language for finding destinations within the complex Medical Center. 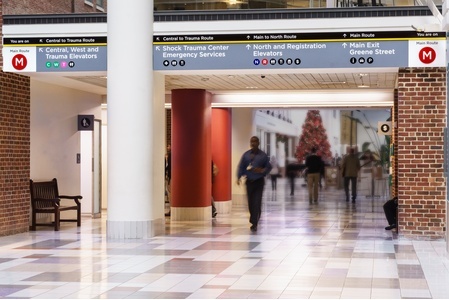 Large ‘emissary’ identification signs consistently program entryways, atriums and lobbies, while directionals are attached to existing infrastructures and utility fixtures wherever possible.